In today’s video I talked about helping me stay accountable along with helping to keep you accountable. 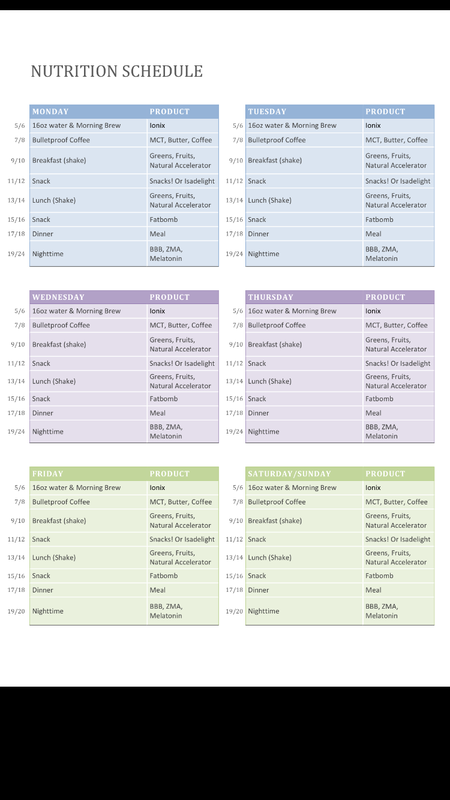 So here is my nutrition schedule. Feel free to message me about anything you read in my list. I’ll be posting my fitness schedule one I get it hammered out. In the meantime look over this and reach out of you have any questions. And remember we are just ordinary people trying to love extraordinary lives! Previous Previous post: A Great Recipe!